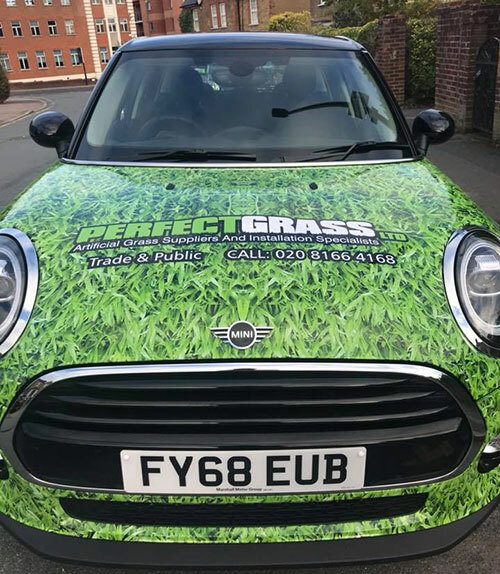 A new Mini Cooper car has been introduced to the Perfect Grass line up of quotation vehicles. 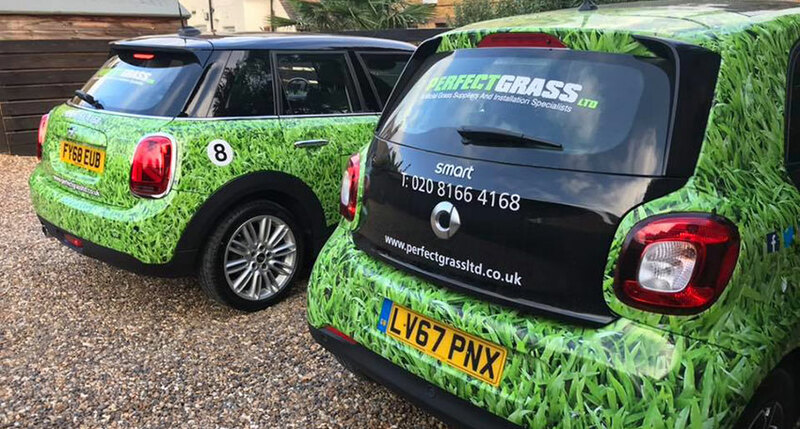 Having seen a great demand in artificial grass over the last few months Perfect Grass has added a further car to its growing fleet. This time a Mini Cooper has been chosen to be covered with an artificial grass wrap. The Mini is a great car to get around London’s busy roads and the addition of this new car will allow us to increase the number of quotations we are able to provide.